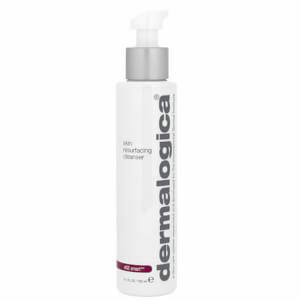 Improve skin tone and texture with the Dermalogica Daily Superfoliant™; a powder exfoliant that delivers anti-ageing, anti-pollution and skin-resurfacing benefits. Fortified with Alpha Hydroxy Acids and Activated Binchotan Charcoal, the purifying daily treatment expertly dissolves dirt and impurities from deep within the pores, revealing a smoother, more refined complexion. Niacinamide, Red Algae and Tea Fruit Extract help to defend against the damaging effects of pollution and environmental aggressors. Activating upon contact with water, the powder forms a creamy paste that promises to leave skin cleansed, detoxified and protected with a youthful-looking glow. Ideal for normal to mature or prematurely ageing skin. After cleansing, dispense half-teaspoon into very wet hands and create a creamy paste by rubbing together. Apply to face in circular motions, avoiding the eye area. Massage gently for one minute, then thoroughly rinse with warm water. May be used daily. 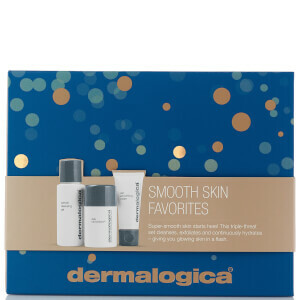 For sensitive skin, apply on alternate days. I went in for a facial recently and the beautician suggested I switch from Dermalogica's daily microfoliant to this superfoliant - because of my 'mature' skin (36 years old). I have tried one bottle now and have to say - it hasn't done me well. It has an unpleasant smell, the dispensing holes at the top of the bottle let far too much powder out so you go through it quicker, and I have had far more blind pimples/breakouts since beginning its use. I've just ordered the daily microfoliant - won't be returning to this. This is my favourite facial scrub. It isn't harsh at all but it leaves my skin feeling so wonderful, clean and soft. Unlike some other powered cleansers I have tried this one is really easy to use as it foams upon contact with the water and stays moist while your using it.